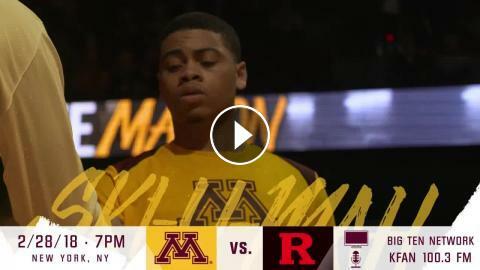 The Gopher men's basketball team takes on Rutgers in the opening game of the 2018 Big Ten Men's Basketball Tournament at Madison Square Garden on Feb. 28, 2018. Cinematic: Gopher Men's Basketball Upsets Purdue in B1G Tournament! Gopher Women's Basketball: 2019 B1G Tournament On Tap!